The contact us page is an easy way for people to contact you. It's available via /contact within your website. We recommend you customize this page to capture more from your visitors or even create a custom landing page with the same info. This area can not be changed. It's designed to ensure we can capture contact info and the name of the person who's contacting you. 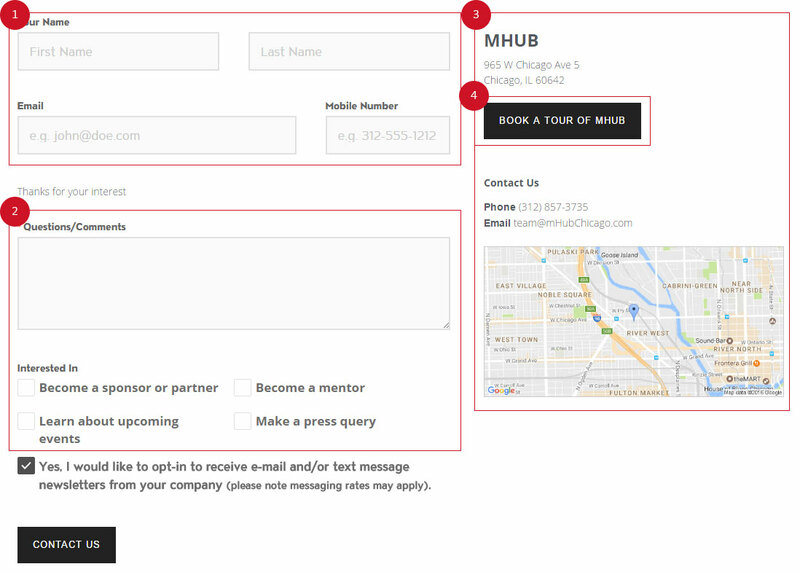 In this section you can attach a Form to capture any other info in order to provide better service. To customize this form, go to Engage > Forms > Create New Form (or you may already have an existing one; look for the flag "contact us" in your list of forms) and assign the form to be used on the Contact Us Page. You can then add additional questions. This section is all managed via your company profile. To edit your company profile go to the company menu (click your company name) and go to Company Profile (you must be an admin). Please note changes may take up to an hour to populate (or clear your cookies).